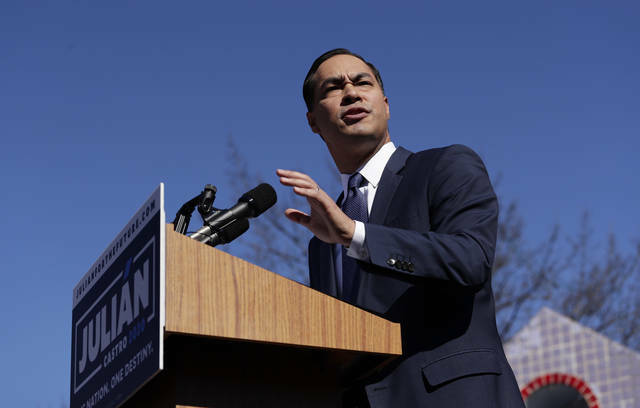 COLUMBIA, S.C. (AP) — As Americans commemorated Martin Luther King Jr., Democratic presidential hopefuls fanned out across the country to honor the civil rights leader and make themselves heard on the national stage. Sen. Kamala Harris, D-Calif., used the holiday to launch a presidential campaign that, if successful, would make her the first woman and the second black candidate to become president. Former Vice President Joe Biden accepted responsibility for his part in the passage of 1980s legislation that toughened sentences for crack cocaine possession, “a big mistake” because of its damage to the black community. In a fiery speech in Harlem, New York Sen. Kirsten Gillibrand lashed out at President Donald Trump for inspiring “hate and darkness.” South Carolina, a critical early-voting state in the Democratic primary, hosted two senators expected to seek the White House in 2020: Cory Booker of New Jersey and Bernie Sanders of Vermont. Billionaire businessman Michael Bloomberg assailed gun violence in remarks at a Washington breakfast celebrating King’s life. Massachusetts Sen. Elizabeth Warren denounced what she called the systematic suppression of black voters. While the Democratic field for 2020 is only beginning to take shape, the year that would have marked King’s 90th birthday gives the party’s prominent members a valuable opportunity to address race and draw a contrast between their own views and those of Trump, whose approach to questions of racial justice has sparked criticism from multiple minority groups since he took office. Biden was the head of the Senate’s Judiciary Committee when the 1994 crime bill — which is now criticized as having helped create an era of mass incarceration — was passed and signed into law. Bloomberg said far too many U.S. politicians don’t “seem to give a damn” about the victims of gun violence. Speaking at the same event as Biden, he said many politicians care more about “getting re-elected than saving lives.” He spoke of his own efforts to reduce gun violence, including spending millions of his own fortune to support gun control initiatives. His speech focused on policies he championed while New York City’s mayor, such as his efforts to improve schools and reduce neighborhood pollution. And he highlighted how he apologized to the fiancee of Sean Bell, a black man who was shot to death by New York police in 2006. At the time Bloomberg was critical of officers who he said used excessive force. Warren also criticized the president for the partial government shutdown and responded to Trump’s offer to Democrats on Saturday to open the government. “We have to have an honest conversation about systemic, institutional and daily individual acts of racism in our country that hold people and families back for generations,” Gillibrand said, citing ongoing disparities for black Americans related to heath care, criminal justice and the economy. Gillibrand also condemned Trump at length. The president, she said, “has inspired a hate and darkness” that’s tearing the country apart along racial and religious lines. Speaking in South Carolina, Sanders cited King’s “courage” in opposing U.S. military involvement in Vietnam as well as in fighting to end racial inequity. “Racial equality must be central to combatting economic inequality, if we are going to create a government that works for all of us, and not just the 1 percent,” Sanders said. Sanders lost South Carolina’s 2016 Democratic primary to Hillary Clinton by more than 40 percentage points. His events in the state signaled that he plans to redouble efforts in South Carolina should he launch a second White House run. Sanders also spoke of King’s efforts to help workers organize and “change the national priorities,” leaning into what sounded like a campaign message-in-waiting. Among the specific proposals he cited were a federal jobs guarantee, free tuition at public colleges and universities, and universal access to child care. Booker implored those gathered at South Carolina’s Statehouse to channel their dissatisfaction with the country’s direction into action. Recalling King’s words on needing to work toward change rather than waiting for it, Booker urged those in the crowd to build on their ancestors’ successes and struggles. 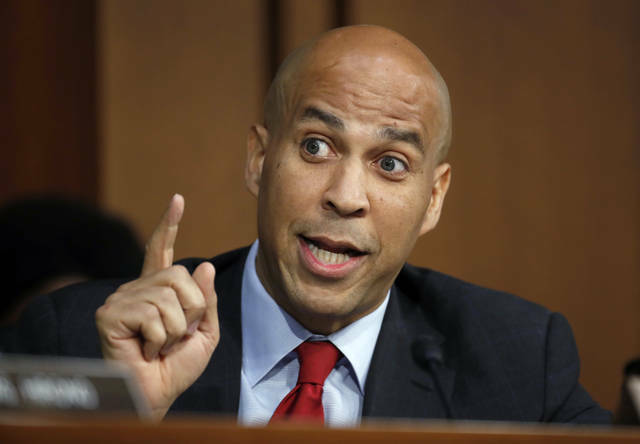 “We are dissatisfied that we live in a society that’s being seduced by celebrity and forgets that substance is more important than celebrity,” Booker said. The juxtaposition highlights the challenges involved in building the diverse coalition necessary to win Democrats’ nomination.